Perfect Mold shapes ambient textures of rock and pop classics into a meditative vibe. Perfect Mold is the fourth album by Charles Xavier. 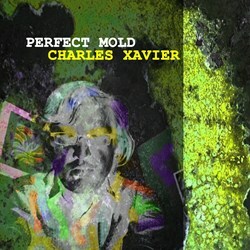 Perfect Mold, the fourth release from Happy Note Records, features Charles Xavier, a multi-instrumentalist and composer who plays genre-fusing original compositions and puts his unique spin on rock and pop classics including Hey Jude, Blowing in the Wind, The Beat Goes On, Fire and Rain, Eleanor Rigby, and Leaving on a Jet Plane. 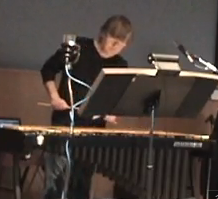 Xavier, who arranged and performed all the parts on vibraphone, piano, and percussive batterie, designs his percussive arrangements to induce a “soothing but intriguing vibe, a kind of meditative soundscape.” Xavier’s music appeals to listeners with a wide range of tastes, encompassing world music, jazz, New Age, and classical. The double CD of 30 songs, recorded and mixed in Xavier’s studio from February to August 2013, is scheduled for release on November 26, 2013, and will be available for $9.99 per CD or $19.98 for two CDs in the New Age sections of iTunes, Amazon, and other music-download sites. Music lovers can hear clips from Perfect Mold on SoundCloud. Go to: http://bit.ly/1ajYdcL. To see the video, go to: http://bit.ly/1aPjA4k. Perfect Mold is available to license for TV, film, and the Web. For more information, please call (415) 602-2932 or email info(at)happynoterecords(dot)com. All Charles Xavier releases are available to purchase on the http://www.charlesxavier.com website. The artistic demands of jazz have always been the driving force behind vibraphonist, drummer, and composer Charles Xavier, even though his eclectic music evades generic category. A jazz drummer from the age of sixteen, San-Francisco-Bay-Area-based Xavier was born and raised in New Bedford, Massachusetts, where the East Coast jazz scene shaped and defined his musical tastes. Xavier studied arranging and composition at Berklee College of Music in Boston. At the Creative Music Studio in Woodstock, New York, he studied drumming with Jack DeJohnette, Bobby Moses, Stu Martin, and Jumma Santos, and creative ensemble performance under the guidance of Karl Berger, Dave Holland, Kalaparusha, and John Abercrombie. Happy Note Records is a San Francisco music production company established in 2005 by Charles Xavier. Other releases include The X-Man Cometh – Expect the Unexpected, which earned nationwide radio airplay and is currently available on Amazon and iTunes. Xavier and the Messengers’ debut album, The King Has Come, earned DownBeat Magazine’s Editor’s Choice review in 1982 and is available now as a 25th anniversary release. The five-tune EP features strong influences from The Police, Devo, The Pretenders, The B-52s, and Kraftwerk. For more information about Perfect Mold, view the digital booklet by going to: http://bit.ly/17U93E9.